MommaSaid | Do Our Kids Really Need a Bald Barbie? Browse: Home / 2012 / January / 16 / Do Our Kids Really Need a Bald Barbie? When we got our Wii, I was bald. So when my kids drew my “Mii,” my Wii avatar, they tossed aside the idea of making her bald like me, instead choosing a super short hair style. I was instantly jealous of my Mii. In the months that followed, Nick added hair to my Mii as my mine grew back in, making it black and curly when my real hair went in that direction for a while, before settling on its current light brown, straight style. I do believe he found all that drawing somehow comforting. 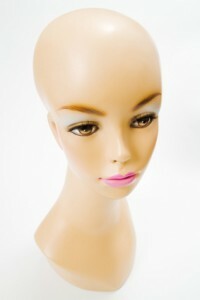 Enter Bald Barbie. Well, enter if Mattel would make one. It seems that two moms, one bald from leukemia and the other from lymphoma treatments, have started a Facebook campaign to urge the doll’s makers to sell a bald Barbie. Personally, I don’t care so much if the doll is made as much as it brings attention to cancer and money to cancer causes. But it just might be what girls who’ve lost their hair to cancer need. That, and Miis with a Jennifer Aniston ‘do. Anyhow, does your kid’s Barbie really need to go bald? Or is there enough of that around your house these days? As for us, my boys never wanted a Barbie, bald or not.